Gwynie proudly rocks a more natural look, JLo goes for DIY, and Kim’s approach is always (a lot) less is more. Whatever your preference, how we preen our lady garden is always a hot topic. Whether you are looking for a basic tidy-up or a full Hollywood, there is no need to dread a hair removal appointment. At Zen we use a wax roller system for larger areas, which is exceptionally quick and hygienic. For more intimate or sensitive areas we use a special hot wax and oil; this is far more gentle on the skin than the more commonly used warm wax, and really effective for a close result and the removal of even the most course, short hairs. It also helps to minimise the risk of hear breakage. Hot wax works wonders on any patches of strong, coarse and shorter hair, plus it is kinder on skin than traditional strips. A thick layer of wax is applied to the skin and allowed to dry slightly before it is peeled away. Your skin is protected thanks to essentials oils that are applied first, creating a barrier so that the wax just shrinks around the hair. Post-wax your skin is free of bumps, less red and hydrated. How you prepare for your wax is also important, both in terms of getting the best out of your treatment and minimising pain. We recommend about three weeks of growth for the smoothest result, but the hot wax can work well on areas that have been shaved two weeks before. Prep your skin by exfoliating for about a week before and don’t be tempted to have a sunbed in the days prior as this can sensitise your skin. On the day itself you may wish to have a painkiller around 30 minutes before your appointment but few of our clients find the treatment that painful, it really just depends on your own threshold. At Zen Lifestyle we have been working to keep Edinburgh hair free for over 18 years and pride ourselves on our knowledge and expertise in this very important treatment. All our waxing therapists are highly skilled, especially in intimate waxing, and have received intensive training and ongoing development in waxing. So you can be sure that you are in safe hands when you come to Zen for all your waxing needs. If you are a waxing rookie fear not. We’ve answered a few waxing FAQs to help cover the basics and if you have any other questions our therapists can discuss all your queries ahead of your appointment. I hope to see you in the salon soon! 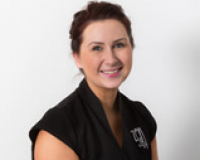 Jen is Head Therapist at our Bruntsfield Place Salon. A highly accomplished and knowledgable therapist, she has been providing the highest standard of treatments to Zen clients since 2011. She is an expert level waxer and is responsible for training at Zen Lifestyle.